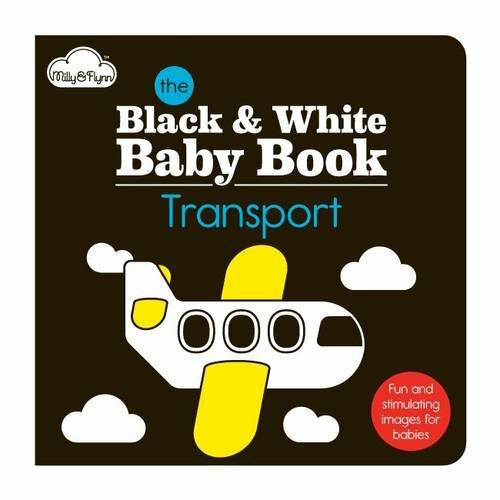 The high-contrast, bold black-and-white pictures in this stylish yet sturdy board book have been carefully created to support baby's developing vision. Babies and young toddlers will be mesmerised by the eye-catching patterns, and the splashes of bright primary colours will provide great stimulation for their maturing eyesight. This book is also a perfect introduction to the world of vehicles and things-that-go for the very young. 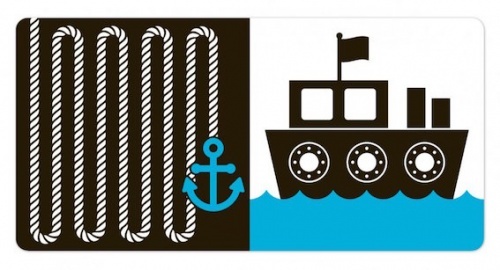 Suitable for 0 to 2 year olds. Is keeping an 8 week old baby absolutely fascinated! 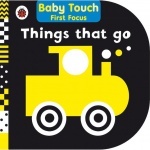 Baby Touch First Focus: Things That Go contains a range of different vehicles in high-contrast black, white. One of the Hello! 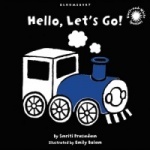 Series of black and white sparkler books.